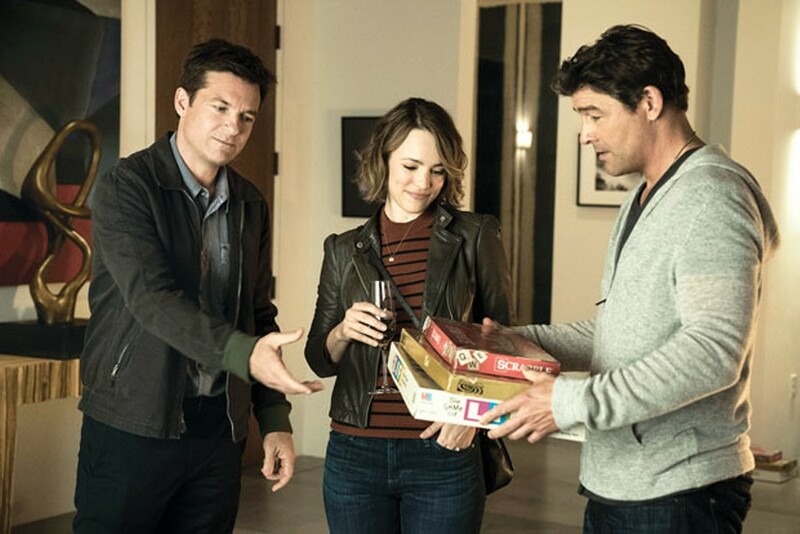 The Box: Game Night, a dark, but giddy, ensemble R-rated comedy, offering plenty of pop-culture jokes and bloody comic violence, directed by Mark Perez, clocking in at a perfect hour-and-a-half. The Pieces: Max (Jason Bateman) and Annie (Rachel McAdams) are as perfectly matched as two duplicate cards in the kids’ game, Memory. Both are competitive and compulsive game-players who meet cute when simultaneously blurting out the correct answer at a pub trivia night. (“What is the name of the purple Teletubbie?”) Max proposes via charades, and they square off at Dance Dance Revolution at their wedding. Weekly game nights are in order, where they are joined by pals Sarah (Sharon Horgan), Ryan (Billy Magnussen), Kevin (Lamorne Morris) and Michelle (Kylie Bunbury). Their cop neighbor, Gary (Jesse Plemons), has been disinvited for being weird. The Set-Up: Max’s does-everything-bigger-and-better brother, Brooks (Kyle Chandler), comes to visit and instantly sets up “a game night to remember.” The winner gets a cherry-red Corvette Stingray, courtesy of the high-flying Wall Streeter Brooks. (There is a bonus prize, which involves some rather pedestrian concerns lurking in Max and Annie’s marriage.) 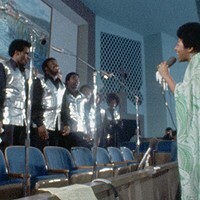 The gang — minus Gary, natch — gathers at Brooks’ home, and warms up with some Never Have I Ever. Oops, somebody might have hooked up with a celebrity once … But the bickering stops when the much-heralded game — clearly, one of those immersive kidnap-and-murder mysteries — begins. The Tricky Rules: It’s not much of a spoiler to reveal that our gamers get mixed up in some actual crime scenarios, and the twists and turns come rapidly. So do the one-liners, sight gags and pratfalls. It only works when everybody is operating on their best deadpan, which, fortunately, is the case here. Extra Pieces: As the game progresses, players will need to work with Chelsea Peretti, Danny Huston, Michael C. Hall and a Faberge egg. Knowledge of iPhone settings is a plus. So too is a quick recall of key scenes from other action movies, which is a snap for these trivia buffs. How to Win: Game Night offers a well-trod set-up, but the crack cast make this silly comedy work. It’s just convoluted enough to mine humor from, without being so ridiculous to take viewers out of the moment. And like most games, it’s quite a bit of fun while playing, but you’re not likely to think about it again soon.